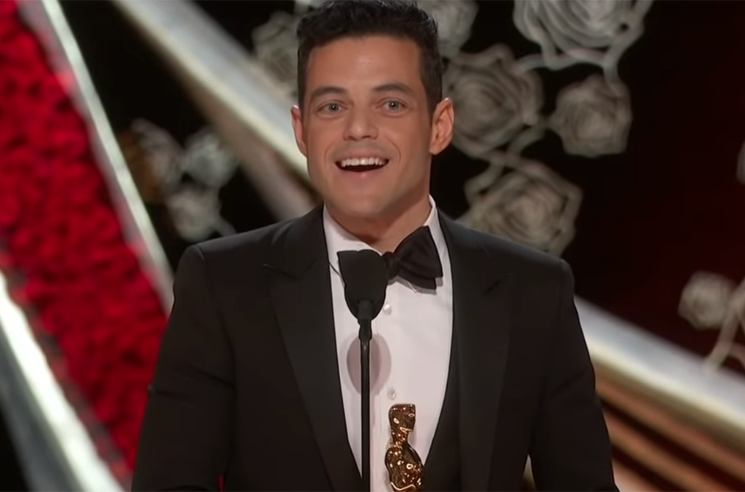 Rami Malek took home the Best Actor award at the Oscars over the weekend for his Bohemian Rhapsody performance, and as could be expected, the actor delivered an impassioned speech. But Chinese broadcaster Mango TV is now facing criticism after its translation of his acceptance speech was censored, trading the word "gay man" for "special group." When Malek accepted the award for his role in the Queen biopic, he said, "We made a film about a gay man, an immigrant, who lived his life unapologetically himself." But as the BBC reports, Mango TV — one of China's most popular channels — censored the words "gay man" and instead translated them as "special group." The move has since been hit with fierce criticism online, with posts on the Weibo platform calling out the censorship getting thousands of shares, the BBC points out. "There are still so many people in today's society who show prejudice or discriminate by referring to so-called 'special people,'" one user wrote. "Even the word 'gay' can't appear on our screens, this is so sad." Another wrote, "What on earth are they afraid of?" This isn't the first time Mango TV has come under fire for censoring LGBTQ references, with broadcaster also doing the same during the Eurovision Song Contest.